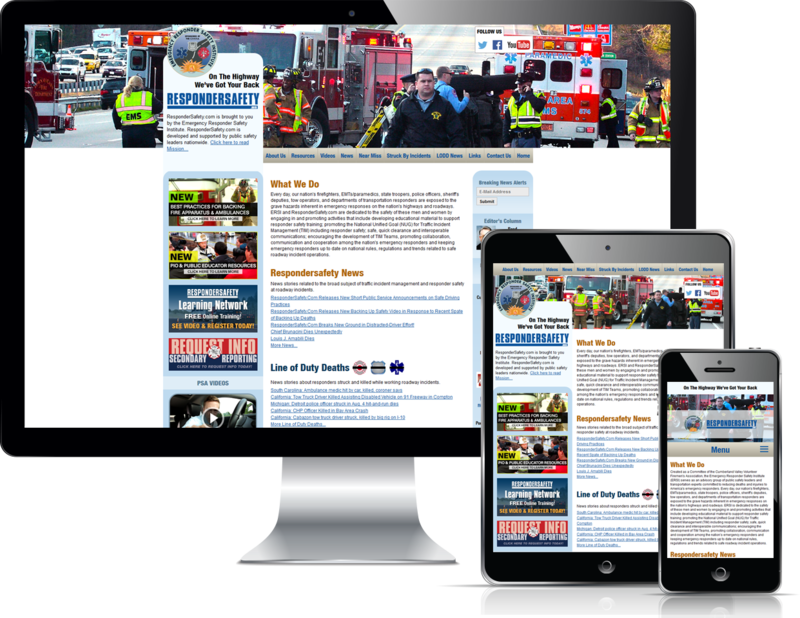 Respondersafety.com is the premiere web site for roadway response safety resources, information, and training. A project of the Emergency Responder Safety Institute from the Cumberland Valley Volunteer Firemen’s Association, Stonehouse Media has been part of the Respondersafety team since the beginning, designing the web site and its features, including a content management system, a resources database with both free public access resources and protected, login-only resources, a struck-by incidents article database, a feature that interfaces with the National Near Miss database to pull and display near misses occurring during roadway response, and exclusive training videos and PSAs. Respondersafety also includes the Responder Safety Learning Network (RSLN), which is an online learning network of free training for all first responders who operate on the roadway, including fire, law enforcement, fire police and traffic safety units, EMS, DOT, safety service patrols, and towing and recovery. RSLN has more than 30 online learning modules. Over 42,000 registered users have earned more than 160,000 credit hours on the network. On the strength of their history, commitment to roadway safety, and the success of RSLN, the Emergency Responder Safety Institute is recognized as the premiere organization working in traffic incident management and safety for first responders.